2015: Year of the Grand Slam? The “Grand Slam” and “Triple Crown” are terms used to describe some of the ultimate achievements in individual sports. In some sports, these accomplishments occur only once-in-a-generation or less. When American Pharoah crossed the finish line at the Belmont Stakes to horse racing’s Triple Crown, history was made. With only 12 horses ever reaching Triple Crown glory, winning all three races is a major achievement. Despite seemingly favorable odds for Kentucky Derby and Preakness winners going into the Belmont Stakes, in the last 100 years, 23 horses (and the preceding 12 straight) had failed at Belmont where American Pharoah famously succeeded. Going back 37 years, the last Triple Crown winner occurred long before Kentucky derby betting online even existed, as the personal computer has only recently been invented when Affirmed last achieved the feat in 1978. 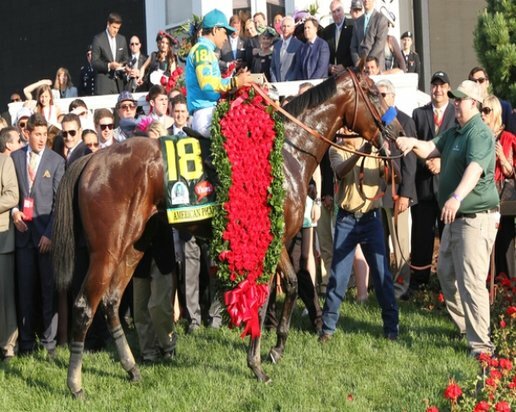 In the weeks since the Belmont Stakes, contenders in other sports have emerged to make 2015 a potentially historic year for Grand Slam and Triple Crown achievements. Professional women’s tennis, and Major League Baseball both boast individuals looking to etch their names into the record books. Additionally, the young professional golfer Jordan Speith deserves mention after winning both the Masters and the U.S. Open. He came agonizingly close to winning the 3rd leg of Golf’s Grand Slam at the British Open, but finished one stroke short of the playoff with a par on the 18th hole at St. Andrew’s links. Here is a look at the remaining contenders for Triple Crown or Grand Slam achievements this year, what they need to accomplish, and their respective odds of success. Serena Williams, already called the “The Great One” by Rolling Stone Magazine in 2013, only needs a title at this year’s U.S. Open to pull off the Grand Slam of tennis. She is the first tennis player since Steffi Graf 1988 to win the first three legs of the Grand Slam: the Australian Open, French Open and Wimbledon. Number four, the U.S. Open, runs from Aug. 31 to Sept. 13 in Flushing, NY. Though she just pulled out of the Swedish Open due to elbow problems, Williams is expected to be in full health for the U.S. Open. According to Forbes, ticket prices for the match are hitting record prices. Williams has won the U.S. Open six times, and fans are willing to pay steep prices to see her potentially do it again and make history in the process. Bryce Harper, a young star outfielder for the Washington Nationals, is on track to win baseball’s Triple Crown in the National League. As of the All-Star break, Major League Baseball’s traditional halfway mark, he led the National League in home runs with 18, was second in runs batted in (RBIs) at 44, and his batting average of .329 put him in fourth place. Baseball has had 17 Triple Crown Winners. According to Baseball Reference, the last winner was Miguel Cabrera in 2012 (American League), who was the first winner since Carl Yastrzemski did it in 1967. The last National League Triple Crown winner was Joe Medwick in 1937. The three statistics are called baseball’s Triple Crown because they display the three traditional components used to gauge a batter’s performance: the ability to hit in runs, to hit for power and to hit a high average. Hitters who bat for a high average typically rely more on speed and control rather than power which is part of what makes this feat so rare. 21-year-old professional golfer Jordan Spieth, ranked second overall in the world after the 2015 U.S. Open, came up just short of glory at this past weekend’s British Open. Speith was triumphant at 2015’s 1st two Majors, winning titles at the Masters and the U.S. Open. The last time one golfer won the Master’s, the U.S. Open, and the British Open in a single calendar year was Ben Hogan in 1953. In 1960, Arnold Palmer conceived the concept of the “modern” Grand Slam, defined as winning the PGA Championship along with the existing 3 Majors (The Masters, U.S. Open, and British Open) in a single calendar yet. The feat has yet to be achieved. Tiger Woods achieved the “Tiger Slam” winning four successive majors over 2 calendar years. Bobby Jones is considered the last golfer to have won a “true” Grand Slam, winning the Open Championship (British), the U.S. Open, the U.S. Amateur and the British Amateur in 1930. The statistical probability of winning the Grand Slam in tennis or golf or the Triple Crown in baseball or horse racing is extremely low. That’s why fans are so enamored of the contenders. According to U.S.A. Today, Serena Williams has what it calls a “nearly impossible but doable” chance of winning the tennis Grand Slam. But the article uses the term “doable” because a tennis player has a good deal of control in each of the 28 one-on-one games involved. A single woman has won all 4 of tennis’s Grand Slam events in a single year just 3% of the time in the last 100 years. In golf, a player has control of himself, and nothing else. The terrain and the large field of other players in the game make it difficult to achieve even a single major win. It’s safe to say winning the modern Grand Slam in golf has the longest odds against it, given that no individual has ever done it in the 55 years. And in the last 100 years of National League baseball, there has been just one Triple Crown winner, making the odds of seeing such an occurrence just 1% in the last century.